I'm not normally a fan of Nicole by OPI as a brand... Partially because I don't think their colours are very creative, I'm annoyed by how they only ever seem to do lines that are partnered with random shows/celebrities, and I hate paying full price for drugstore brands when I can get what I see as superior brands (OPI, CG, Zoya, Essie) for less at my beauty supply outlet. But apparently Shoppers Drugmart had a sale in December so my mom picked up a few NOPI shades for my stocking, and wouldn't you know it I fell in love with them both. I hate it when I have to eat my words!! Today I bring you one of the two Modern Family shades I've added to my collection: Candid Cameron. 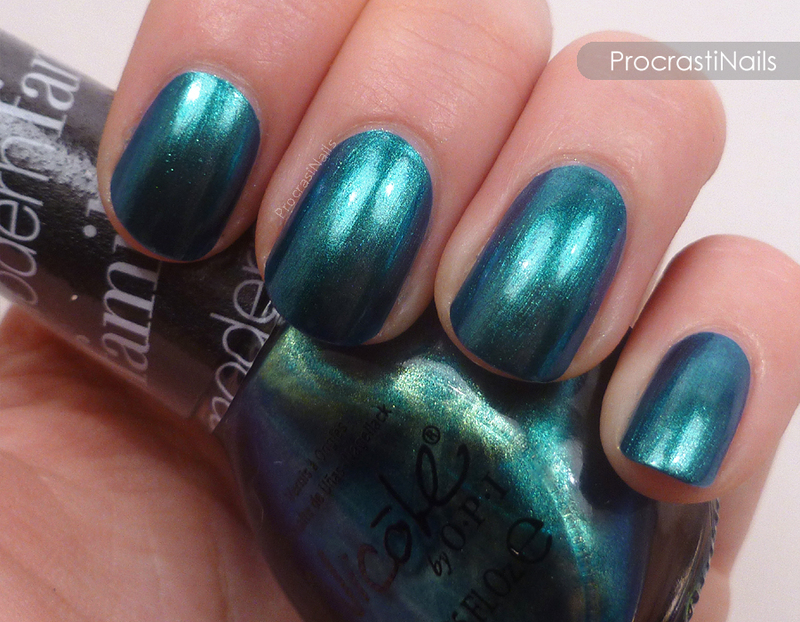 NOPI Candid Cameron is a gorgeous jewel tone turquoise duochrome, with flashes of green and blue and purple depending on the light and how you look at it. 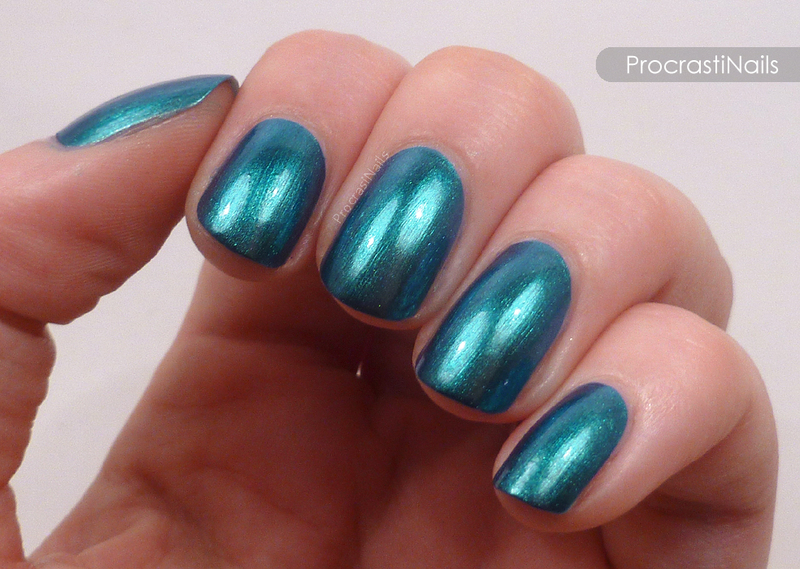 It's also slightly metallic, so as you can see you have to be careful about brush strokes (especially if you aren't using a topcoat). 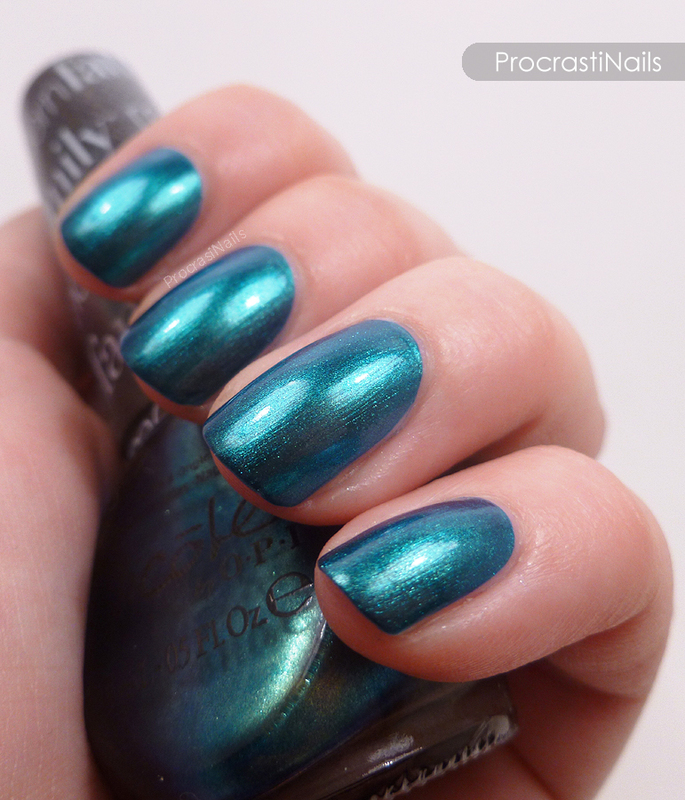 The opacity was good, and it's one of those polishes that I would use three coats of just to be safe but that you could totally get away with by using only two. So, what do you think... NOPI? OPI? The dearly departed SOPI? Love them all? Hate them all? Let me know! !